You’ve heard the adage, “life begins at the end of your comfort zone,” but perhaps the end of your comfort zone is where a world of transformative experiences begins. At the age of 17, Stacey Wilson-Forsberg embarked on a secondary-school exchange to Mexico. 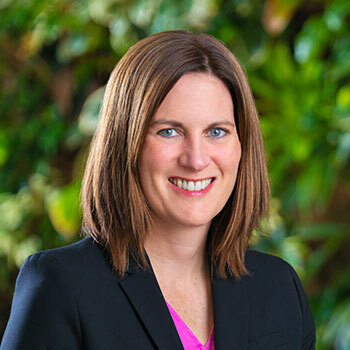 Today, she leads undergraduate students from Wilfrid Laurier University on an international field course in Mexico City as an associate professor in the Human Rights and Human Diversity (HRHD) program at Laurier’s Brantford campus. “Seeing the world through the eyes of students who have never travelled outside of their local community is the real reward,” says Wilson-Forsberg. Patrick Mulligan had never ventured too far from his hometown of Brant County before departing on the Laurier field course in Mexico in 2017. As the first member of his immediate family to pursue postsecondary education, Mulligan was driven to achieve good grades at Laurier and sought out courses and co-curricular experiences that challenged him. By his third year, Mulligan had committed to graduating with a double major in Criminology and Human Rights and Human Diversity. Creating space to better understand unfamiliar cultures and encouraging students to step outside their own comfort zone are core values of Wilson-Forsberg’s teaching philosophy. As the recipient of a 2018 Donald F. Morgenson Faculty Award for Teaching Excellence in the category of excellence in internationalization, she actively puts this philosophy in practice in her research and teaching. As part of a month-long field course in summer 2017 led by Wilson-Forsberg, Mulligan and 13 peers travelled to Mexico City to learn about the lives of asylum-seeking migrants fleeing from violence and poverty in Central America. While some of their learning was in a classroom at Laurier’s partner university the Tec de Monterrey with speakers from the United Nations High Commission for Refugees, human rights lawyers and activist groups, much of their education came first-hand from the migrants. During their time in Mexico, the Laurier students worked and prepared meals in refugee shelters, connecting with the migrants through an exchange of stories. Wilson-Forsberg says these interactions may seem mundane, but they serve a greater purpose. In the months following last summer’s trip, Mulligan sought out the mentorship and guidance of Wilson-Forsberg to discuss his post-graduation aspirations. In June, Mulligan will walk across the stage at convocation, and in the fall, he will attend graduate school at the Norman Patterson School of International Affairs. Mulligan hopes that his undergraduate and graduate experiences eventually translate into a position with Global Affairs Canada. “The academic and extracurricular opportunities for growth provided by Dr. Wilson-Forsberg have informed who I am as a person, and have served to aid me in achieving all that I did throughout my time at Laurier,” says Mulligan. Closer to home, Wilson-Forsberg’s ‘Internationalization@Home’ initiative integrates domestic students with English-language learners from the Laurier English and Academic Foundation (LEAF) program to build intercultural awareness and understanding. Embedded into the HR261 Multiculturalism course, in partnership with Laurier International, LEAF, and the Laurier’s Community and Workplace Partnerships department, the Internalization@Home community service-learning course launched in 2014 and has evolved significantly since the first offering. “It’s on us as educators to intervene if we want international students and domestic students to build meaningful relationships where the knowledge of the international student is emphasised,” says Wilson-Forsberg. When the program was launched, LEAF students were paired with members of Wilson-Forsberg’s Multiculturalism class and tasked with simply spending time together outside of the classroom. Without a defined structure, students often deferred to studying together, rather than actively engaging in discussion or trying a new experience. With a few updates to the structure of the course, students in the Multiculturalism course now spend time with their LEAF partners completing a highly interactive workbook that takes them on intercultural adventures around the city of Brantford. There are 10 categories in the activity guide focusing on building shared knowledge in areas of arts and culture, health and wellness, spirituality, volunteerism and Indigeneity. The experiences are underlined by ongoing formalized reflection throughout the course, guided by questions about stereotypes, curiosity, forms of communication, and different ways of knowing. Wilson-Forsberg and her colleagues document some of the challenges of the first iterations and current outcomes of the initiative in the upcoming issue of the Journal of Comparative and International Education. “Being able to experiment, take calculated risks, and admit when something doesn’t go as planned allows for greater innovation in teaching – and I feel like we have the space to do that here at Laurier,” says Wilson-Forsberg. Today, Wilson-Forsberg, Mulligan and another HRHD student are working on creating a scholarship for the “Other Dreamers,” a large population of youth who have been deported to Mexico from the U.S. with or without their parents, who lived in the U.S. as undocumented workers. The “Other Dreamers” are unable to travel to the U.S. to attend postsecondary school. This scholarship will give them the opportunity to live, learn, and inspire others at Laurier – taking them far beyond their comfort zone and allowing them to begin their own transformative experience.